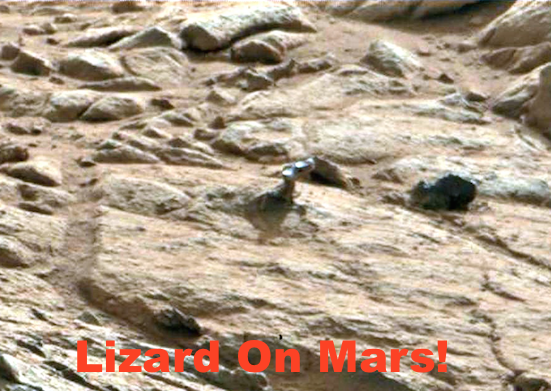 UFO SIGHTINGS DAILY: Lizard on Mars Found By Rover, NASA Photo, Aug 2015, UFO Sighting News. 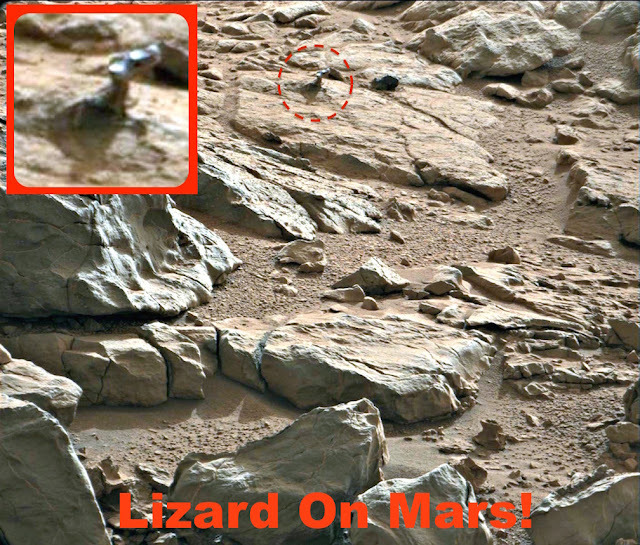 Lizard on Mars Found By Rover, NASA Photo, Aug 2015, UFO Sighting News. Now this was sent to me in a message on Twitter. The person found a animal on Mars. The creature looks like a lizard, but with a short tail. I tried hard to get a close up of it. The head is shiny and look like it has an outer shell on its head, but its body, arms and legs look like they do not have an outer shell, but a skin. Its easy to make out features on this lizard. Its back part of the head has two upraised ears. 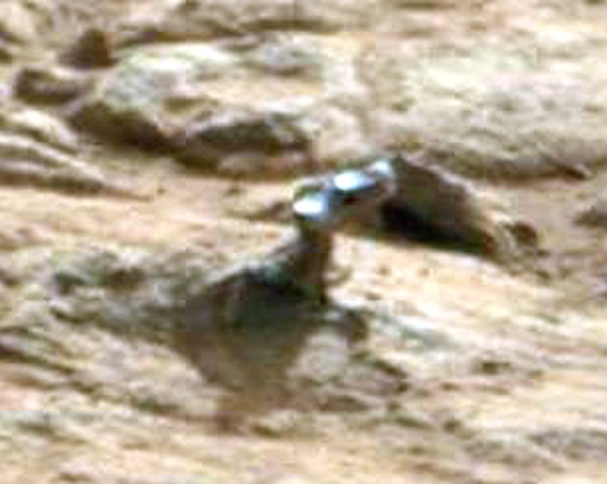 Its eye is dark and has a raised brow ridge and its head is cocked in such a manner that shows us it is on high alert over the rovers presence. With evidence like this, I really wonder why NASA rover is not reporting seeing any of these life forms that UFOlogists have reported? 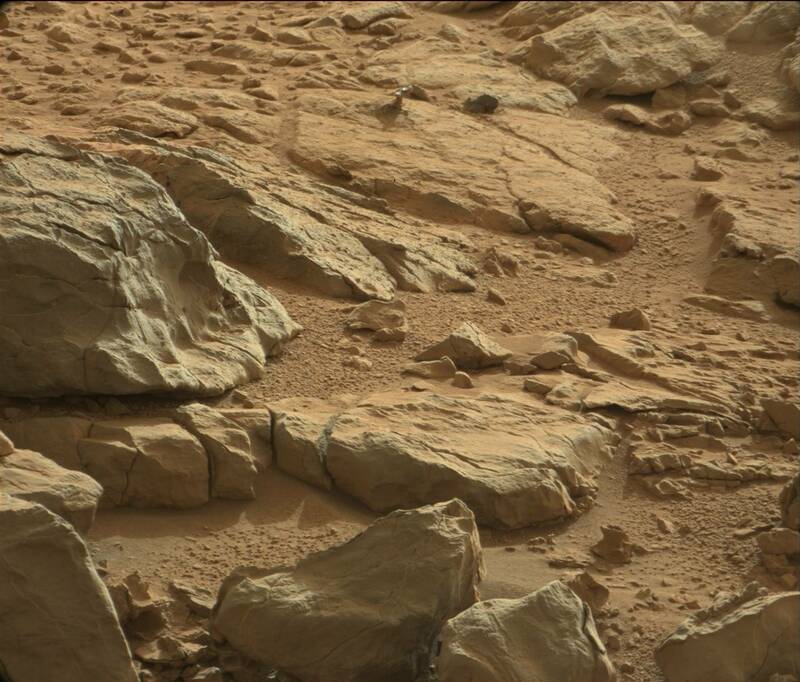 All they have to do is turn the rover around and take a few days off their path to have a close look. Its what the public wants, but clearly not what NASA wants. Perhaps they know the funding they will get will end when life is finally found, so they stretch out their search to make it longer.